An update on winter work from the SDRT Museum. We have now restarted work in earnest on the refurbishment of the DAMO. 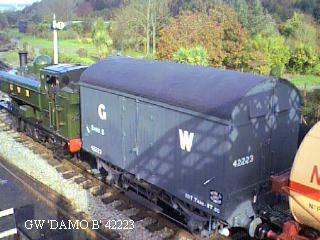 This was a GWR car–carrying wagon, and is the only survivor of the relatively small number of short wheelbase vehicles built. Current work is to strip down the vehicle so that we can assess what needs to be done. We started at the top – on the roof – and it isn’t looking good. The intention is to re-canvas in proper railway fashion, but before this can happen the structure needs to be sound. 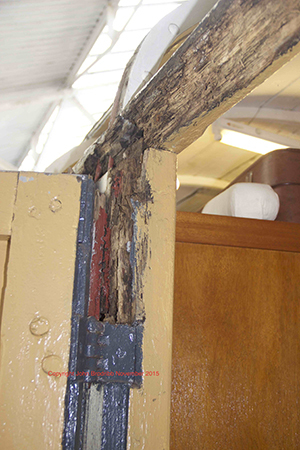 There are a lot of rotten planks up there, and many of the wooden supports are also showing signs of damage. We are removing damaged material as far as we can so that we can see what extras are needed. We have also to look at the sides: at the moment we are concentrating on the platform side. 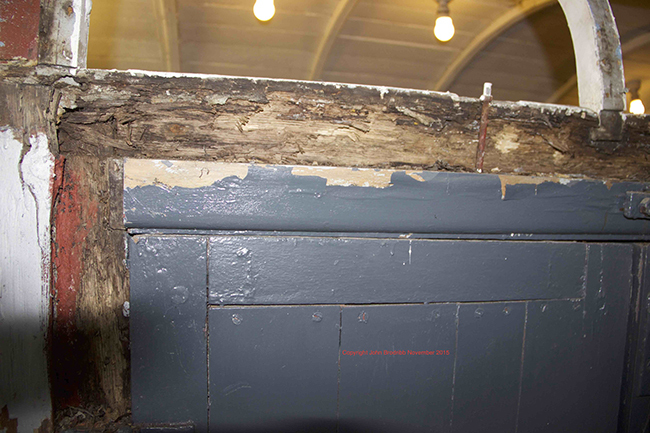 The more we look the worse it seems – most of the planks have some rot in them. The frame, in particular over the door, is in very poor condition. 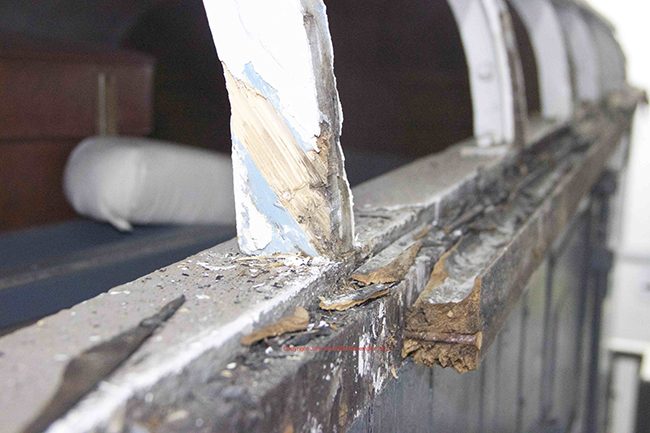 The guttering will need complete replacement, but is of very similar construction to Coach 1295, currently in Carriage & Wagon. This means that we can use similar methods here. We have some wood in stock, so can go some way towards replacing the planks in the sides, but will need quite a lot more for the roof. We need new material to form the frames for the door openings and top rails – we haven't exposed the bottom one yet. 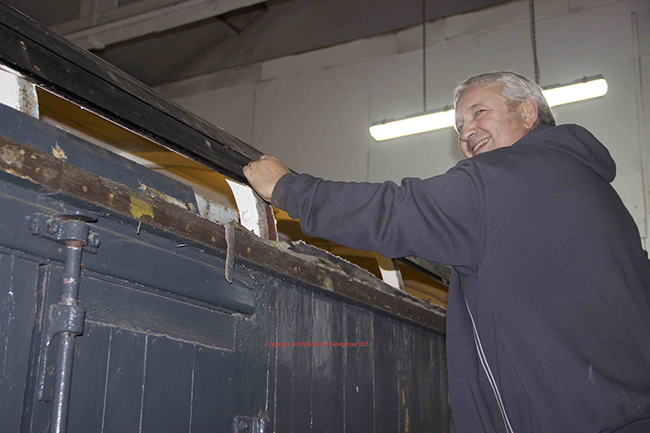 A few pix attached, showing the state of the gutters, Mike Bryant working on the roof, and the door frames. We aim to get it done by Christmas, but we aren't specifying which year at the moment.